i was trying to shorten this anecdote into a manageable thread for twitter but i couldn’t, so now it’s here. YOU’RE WELCOME. 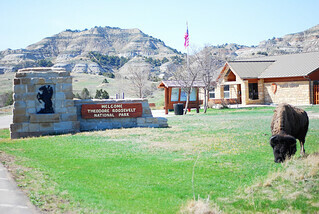 so there are missiles in north dakota – this is p common knowledge, there’s even an abandoned site called the north dakota pyramid that was literally operational for like three days that you can visit – about 150 of them, minutemen i guess, and they’re just… scattered around this big relatively empty state. fine. 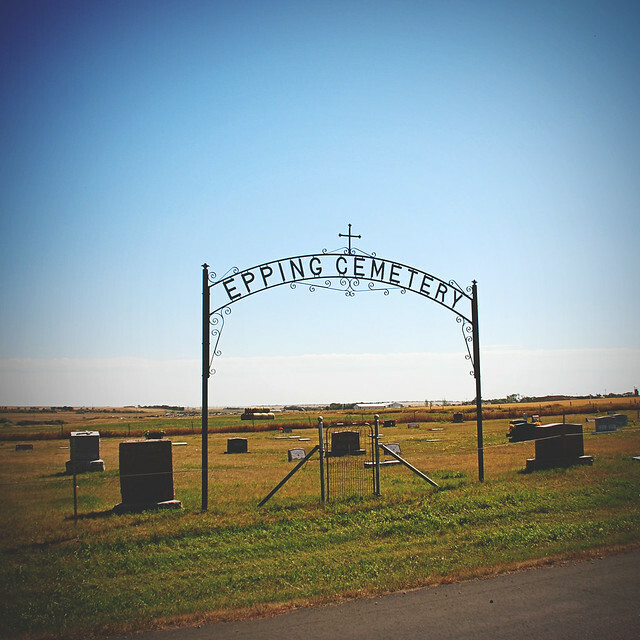 On the eve of the momentous day that marks exactly one year since we arrived in North Dakota, let me explain you a thing, friends. 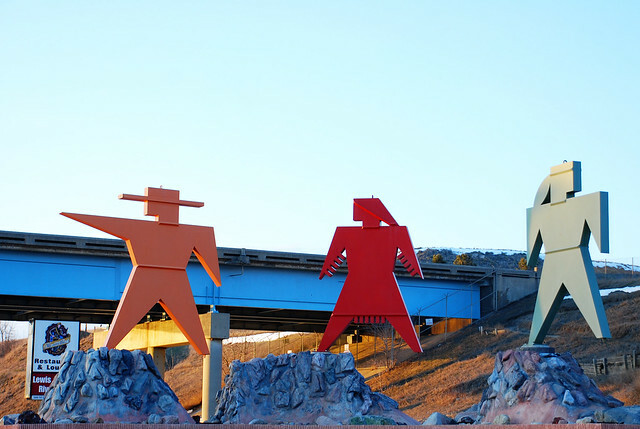 North Dakota is very small. Physically, this isn’t true. It’s 19th in the country with almost 71,000 square miles. That’s, on a technical level, like, pretty big. I mean, it’s not Alaska or anything, but it’s big. But population wise? It’s a whole other story. 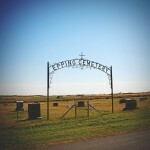 Epping, North Dakota is a really, really small town 20 miles north east of where we are here in Williston. It was founded in 1905 along the Great Northern Railway. 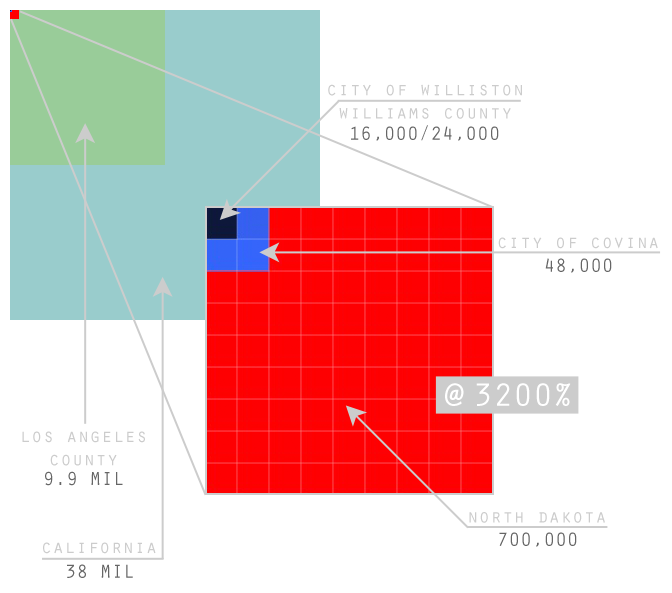 When I say “small town,” I really, really mean small. Like, unbelievably small. Small like it has a total area of 0.38 square miles. Small like it had a population of exactly 100 in the 2010 census. Small like for the entire twenty minutes we were driving around the whopping three blocks that make up the city, we saw one other human being. 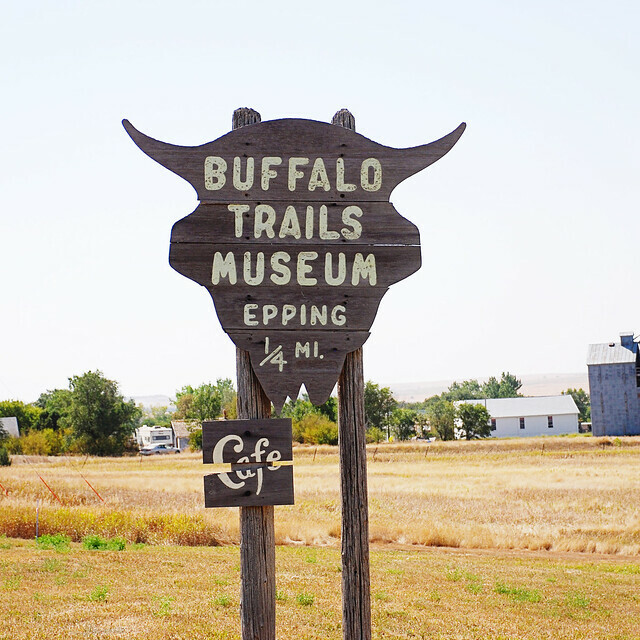 The Buffalo Trails Museum was closed just like every other business we saw. 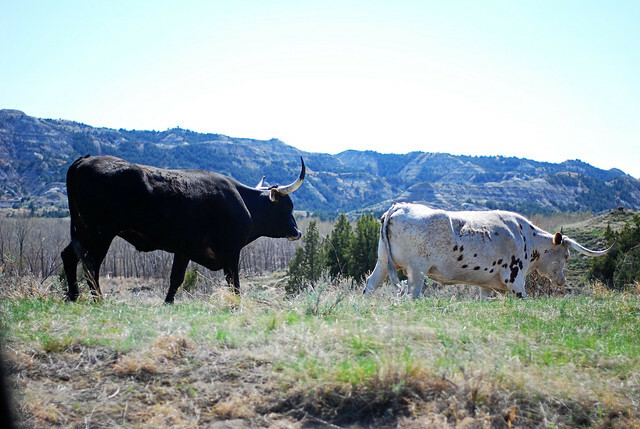 They’d just had their annual Buffalo Trail Day event which includes a pancake dance and church services and an ice cream social. We figure they must have been recovering. I live in North Dakota now! It’s weird! 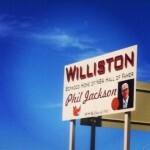 did u know williston, nd is the childhood home of nba hall of famer phil jackson? I’ve been here for about a month and a half and it’s starting to feel like “home” even though I’m having a hard time calling it that?! Like, every time we’re out somewhere I say, “Are we heading back to the house now?” or whatever and if I talk about L.A. I say “home” — so that’s a thing. 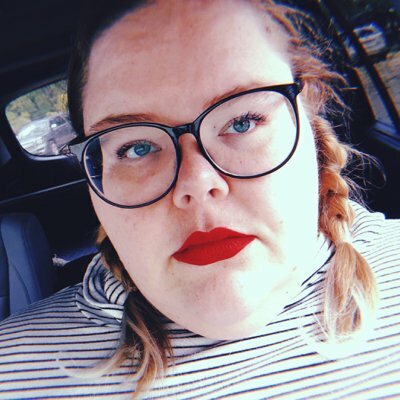 There are a lot of complicated feelings in moving somewhere, even if you’re not moving far away, even if you’ve only lived somewhere for a little while or you never really liked the place anyway or you’ve been trying to escape since you were born.